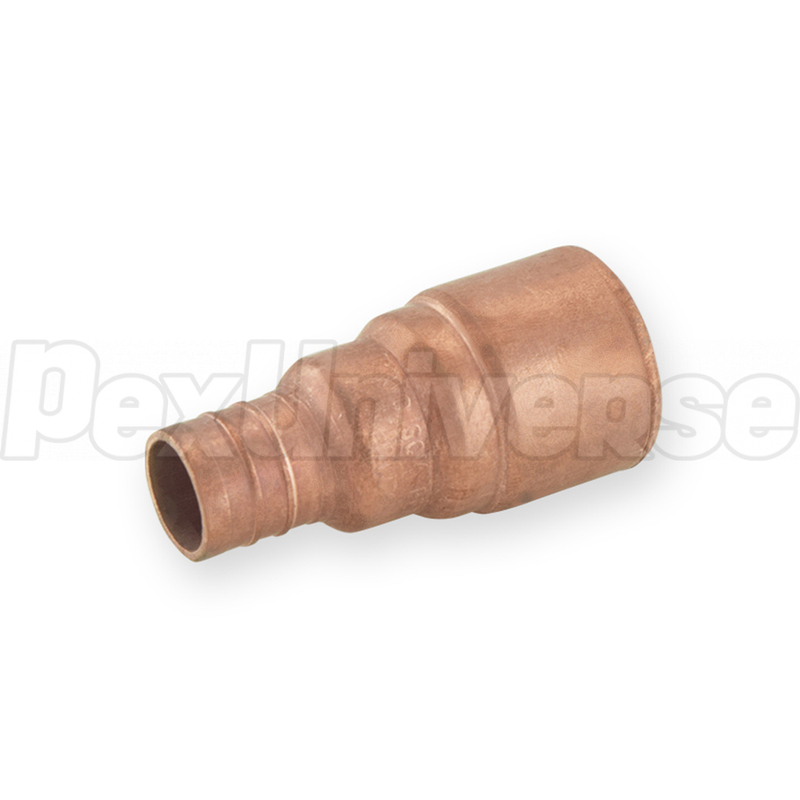 3/4" PEX x 3/4" CPVC adapter is used to make a transition between 3/4" PEX and 3/4" CPVC pipe in a straight line. 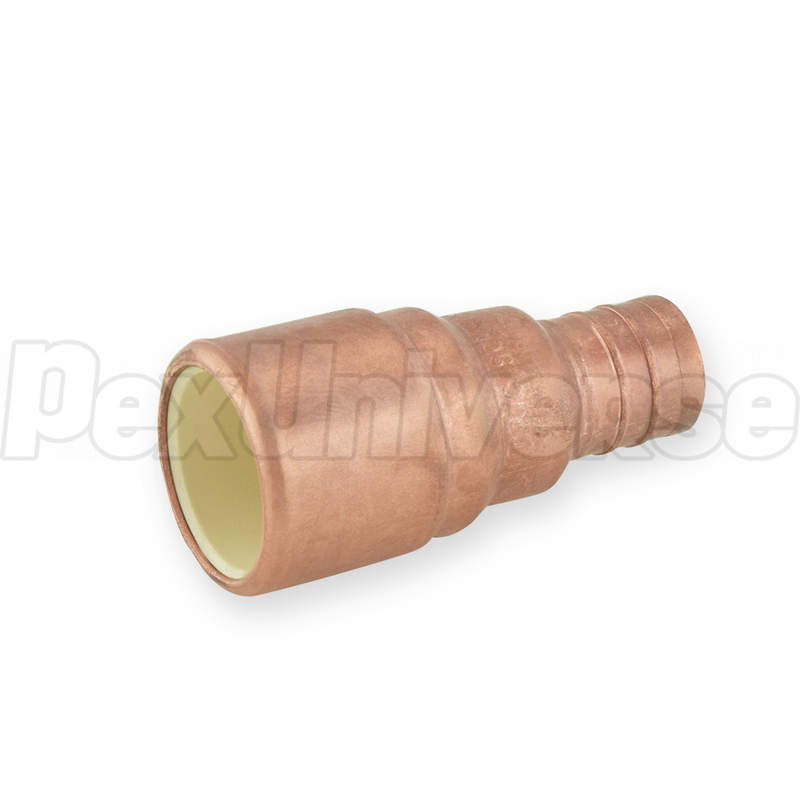 PEX side is installed using either crimp (crimp rings + crimp tool) or clamp/cinch (clamp tool + clamps) method. 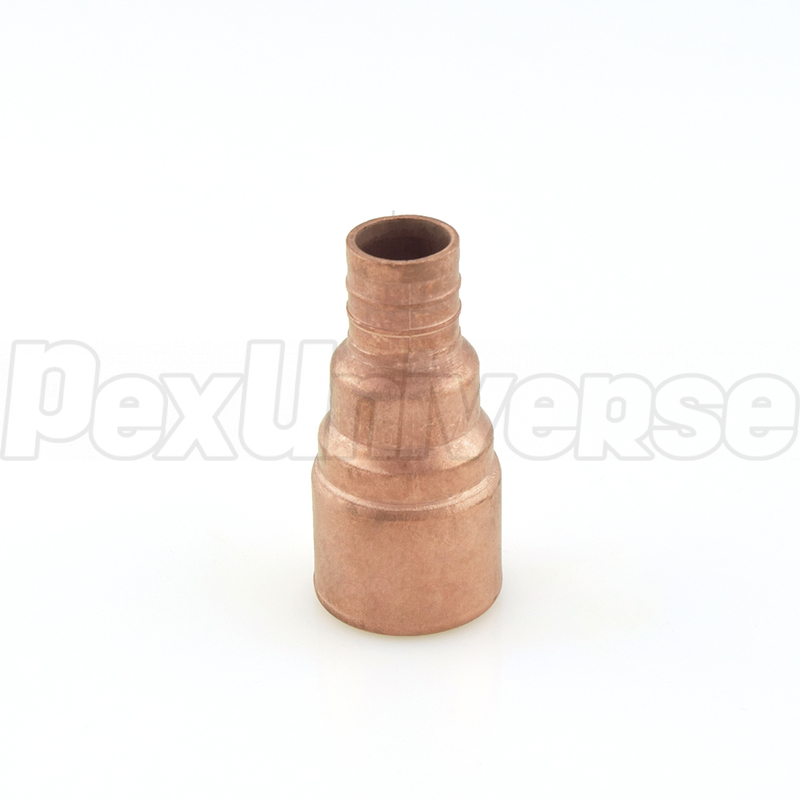 CPVC side of the fitting is installed in the same way as regular CPVC connection. Made in the USA from copper and approved for potable water use nationwide.